The Death of Wolverine takes one of Marvel's most iconic characters and subjects him to an anemic demise that underwhelms at almost every turn. Death of Wolverine doesn't work. Don't get me wrong, it's a book with some damn fine qualities. The artwork, for instance, is just plain gorgeous and the writing definitely provides a few moments to draw you into the melodrama of the last deadliest man finally facing his mortality. When I finally read the final issue however, the strongest reaction I could muster was an unenthusiastic "I wonder when he'll come back?" That's probably a bit cynical on my part, but I'd challenge you to find another regular comic reader who didn't think exactly the same thing when Marvel revealed it would be offing its premier Canadian superhero. Comic books aren't young anymore and we're not living in an era where superheroes biting the dust is something unexpected. It happens regularly and, more often than not, they wind up fine and back on their feet in, at most, a few years. Within that context, it's almost impossible to take Wolverine's demise all that seriously. It doesn't help, of course, that the way it all goes down is a pretty mediocre. The mini-series opens with Wolverine meeting with Reed Richards. Having lost his mutant healing factor last year in the pages of his solo-series, everyone's favorite X-Man is looking for a way to have them restored. Richards is confident that he can do it with time but warns Wolverine that he should avoid any sort of violence until his powers are restored. This proves easier said than done however, when a mystery villain puts a contract on our hero's head and a whole mess of baddies come gunning for him. Bent on finding out the identity of his nemesis, Wolverine sets off on a globe-trotting trip that pits him against some of his most brutal adversaries. The problem I had with this story is that none of it's anything we haven't seen before. Taking down faceless henchman is Wolverine's bread and butter. Likewise, fighting Sabertooth is something he can't seem to go more than a week without doing. In fact, Wolverine's solo-book literally just wrapped up another Sabertooth-centric conflict in the run up to Death. These battles could have been made a bit more interesting by Wolverine's new mortality, but the story does almost next to nothing with it up until its final moments. For instance, at one point he sustains a gory face wound just to have it fixed up by a vial of healing serum that does exactly what his powers would have, just a tad more slowly. 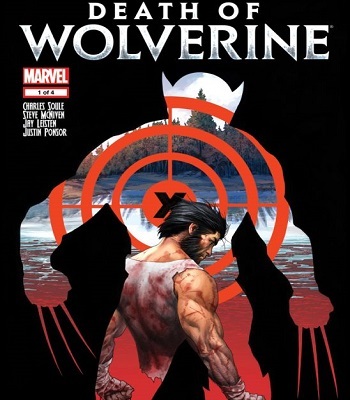 It pretty much destroys all the potential tension that comes with Wolverine losing his powers and certainly made me question why it even matters when there are some very clear alternatives that could keep the man going. Mind you, this isn't the first time this issue has reared its head. One of my biggest gripes with the Wolverine losing his powers overall, has been the fact that the various X-books have, save for a new set of armor and the occasional throwaway line, all but ignored that it happened at all. The Wolverine solo book had an issue where he moped around, drank a lot of beer and cut himself shaving. Beyond that (and a fancy new set of armor) though, he's pretty much been behaving like the same old invincible bruiser, complete with walking away from injuries that would have killed anyone else. On one occasion in Amazing X-Men, for instance, he a took a sword straight through the chest, a wound that would put even the toughest of fighters down for the count. 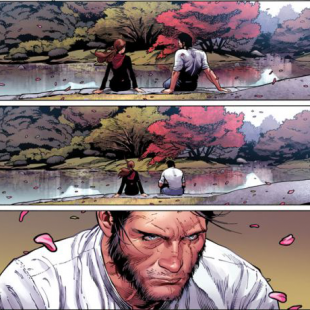 The most interesting parts of Death of Wolverine, in turn, are the too-few moments where the focus shifts from pointless violence to Logan being a bit more introspective about his situation. At one point, for instance, he's speaking with Kitty Pride and talks about how losing his powers could wind up being a good thing in the long run and how many of his past mistakes came from his always knowing there'd be time to make up for them down the road. It's a nice moment of genuine character development and the sort of thing that could have been fodder for some really enjoyable long term storytelling if this mini-series hadn't been about Wolverine dying. With this series only being four issues long though, there's not nearly enough time to explore that idea to the extent it deserves and the whole thing winds up feeling rather pointless as a result. Ultimately, my biggest problem with Death of Wolverine is that it's much more focused on the "Death" portion than on Wolverine. Whatever his flaws over the years, Wolverine's still an interesting character that Marvel could have taken to some pretty brilliant places after he lost his powers. That said, this mini-series is so interested in pushing toward his demise that it shows little interest in actually making it mean anything. It looks good and the dialogue isn't bad, but there's just not enough substance in the end product to justify the book's hype. Bottom Line: Death of Wolverine is a lousy send-off for a character who is easily one of Marvel's most iconic. Setting aside the fact that this is most certainly all temporary, the book does little to draw the reader in or keep them interested. Recommendation: Unless you're looking for some gorgeous comic art, feel free to pass on Death of Wolverine. He dies and that's pretty much all you need to know.